Latvia, a former Soviet Union republic, is divided into four regions, each with its own slightly different demographics based on its proximity to Europe or Russia. Today, the Jewish population of Latvia is approximately 6,200 people. The origins of Latvian Jews lie in Livonia and Courland, which are located on the coast of the Baltic Sea. Both were not included in the Pale of Settlement, so only those Jews who could prove they had lived in the region before it came under Russia were permitted to live there. Therefore, the gradual annexation of the country by the Russian Empire weakened the Jewish presence. However Germnaized or Russianized the Jews became, their position was always uncertain in relation to the national movement in Latvia, which saw them as foreigners. Boasting the oldest Jewish community in Latvia, Courland was made up of two separate realms, Piltene (Pilten) and Courland. In the 12th century, the Livonian Knights took control of the region from local tribes and forbade Jews to settle in the kingdom. Piltene, due to its valuable ports on the Baltic Sea, was a separate entity owned by the head of the Church of Courland and exchanged hands numerous times. The first Jews arrived in Piltene in around 1571, after the Bishop of Courland sold the land to the King of Denmark, who then gave it to his brother, Duke Magnuss von Holstein. Under the duchy, Piltene became a sort of island within the province of Courland, leading to numerous military conflicts with Poland, until it was purchased by Poland in 1585. Beginning in 1561, Jews were allowed to live in Piltene but not the rest of Courland. Piltene Jews created thriving communities and were prominent traders and businessmen. 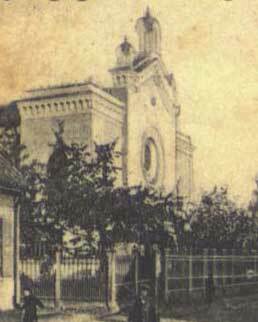 In 1708, the first synagogue was built in Aizpute (Hasenpoth). Courland Jews identified with German Jewish culture and the majority spoke German, not Yiddish, until World War II. A dialect of German called “Courland Yiddish” also developed. The haskala movement was popular, but Courland Jewry did not assimilate to the same degree that Western European Jewry did. Courland Jewish culture differs significantly from that of the rest of Latvia, due to the province’s proximity to Germany, though it was slightly influenced by the neighboring Lithuanian Jewish community. The community’s position declined, however, after the Duke of Courland and Piltene made an alliance. In 1717, every Jew was forced to pay an annual tax of two talers, a toll that was doubled in 1719. From 1727 to 1738, the government ordered the expulsion of the Jews, though the decree was never carried out to its entirety. Outside of Piltene, the Courland Jewish population steadily increased during the 17th century. During this time, however, Jews were labeled as foreigners and faced anti-Jewish persecution, especially at the hands of competing merchants and craftsmen. Despite local hostilities, the duchy treated the Jews well until 1713, when the community was expelled from the province. Those who remained were forced to pay one taler a day for themselves and for those who refused to pay. In 1719, the Jews made a deal with the duchy that allowed them to live there for the price of 400 talers. This policy stayed in place until 1760, when the duchy ruthlessly forced the Jews out of the province. Piltene and Courland became part of Russia in 1795. At the time, there were 4,581 Jewish males in Courland. By 1799, the Russian Emperor Paul gave the Jews of Courland full Russian citizenship, but forced them to pay double taxes. Due to their new status, Jews were able to partake in government and integrate into German society. Courland was not included in the Pale of Settlement created by the Russians in 1804. In the mid-19th century, despite heavy restrictions on citizenship, Jews from the Pale managed to move to Courland to escape suffering. By 1850, the Jewish population had risen to 51,072, and on the eve of World War I, had skyrocketed to 68,000. During the war, the Jews were blamed for Russian military defeats on the claim that they had committed treason. This led to the expulsion of the Jews from western Courland in May 1915, and approximately 40,000 Jews were forced to leave the province. When Courland was incorporated into the independent Republic of Latvia in 1918, some refugees and exiles returned. Despite this influx, in 1925, there were only 22,548 Jews in the province. The Jews of Latgalia, the southwestern part of Latvia, developed along the same lines as the Jews of Lithuanian-Byelorussian region and the Polish kingdoms. Poland took over Latgalia in 1561, maintaining control until 1772. Jews began to arrive in Latgalia in the early 17 th century after severe pogroms in Poland from 1605 to 1639, and in the Ukraine and Byelorussia from 1648 to 1653. These refugees were Yiddish-speaking Orthodox Jews. Toward the end of the Polish rule, in 1766, some 2,996 Jews lived in Latgalia. Latgalia came under Russian control after the First Partition of Poland in 1772. At the time, 5,000 Jews lived there, but by 1784, the number had been reduced to 3,700. Latgalia was divided in 1802, when the Vitebsk region became part of the Pale of Settlement. Jews were forced to leave rural areas and resettle in cities or small towns (shtetlach), where they faced double taxation. The traditional Yiddish Jewish community, along with the rest of Latgalia, was very poor, owing to its location in the interior of Latvia, on the Russian border. Despite this, there was a significant amount of Jewish activity, and, by 1847, the population had grown to 11,000. The community followed Eastern European Orthodoxy tradition and were not as influenced by hashkala as the rest of the country was. In November 1918, Latvia gained its independence from Russia. During this time, the majority of the Jews of Latvia worked in commerce. Approximately 29 percent of the community was involved in industry and about 7 percent in liberal professions. The government of Latvia was void of Jews and, between the wars, the economic situation of the Jews nose-dived. A series of government policies left the Jews in a precarious position, forcing many into small trade, peddling, and bartering. The government assumed control of the grain trade, taking away the Jews’ main source of employment, favored Latvian enterprises over Jewish ones, levied heavy taxes on the community, and made it difficult for Jews to obtain credit. Latvian Jewish culture was a mixture of Russian, Western European, and Lithuanian elements. The community was influenced by both the more secular East Prussian Jewish community, and the more traditional and religious Russian community due to its location. There were many social and spiritual differences between Latvian Jews of different backgrounds depending on their proximity to Prussia or Russia. A broad network of Hebrew, Yiddish, Russian and German schools for Jewish children was established during this same period, accommodating the numerous languages spoken by the Jewish population. The Jews maintained a sense of autonomy, establishing their own schools, universities, theaters, cultural clubs, and newspapers. Prior to World War I, 190,000 Jews lived in Latvia. During the war, many Jews were exiled to the Russian interior and others fled the country. By 1920, the Jewish population had declined to 79,644. After a peace treaty was signed between the Soviet Union and the Latvian Republic on August 11, 1920, Jewish refugees began to return to the Latvia and, by 1925, 95,479 Jews lived in the republic, the largest number since independence. Wide scale emigration on the part of the young Jewish adults and a scale back on family size led to a sharp decline in the Latvian Jewish population. Between 1925 and 1935, 6,000 Jews left Latvia, the majority of whom made aliyah. This left 43,672 Jews in Riga, 11,106 in Daugavpils, and 7,379 in Libau. Though initially a democratic state, the growing popularity of fascism in Western Europe soon took hold. On May 15, 1934, Prime Minister Karlis Ulmanis staged a coup, taking control of the government and deporting opposition leaders to concentration camps. The new totalitarian state under the dictatorship of Ulmanis was influenced by Nazi Germany. With the Fascist coup came a severe decline in the situation of Latvian Jews. All Jewish political organizations were forbidden, secular Yiddish schools were closed, and Hebrew schools’ curriculums were screened. When World War II broke out in 1939, the Soviet Union forced Latvia to sign a treaty allowing the Soviet army to use the country for the war effort. This led to the annexation of Latvia in June 1940, annihilating the few freedoms the Jewish population had left. Almost immediately after the war began, in July 1941, Germany overran Latvia. The country was placed in the new Reich Kommissariat “Ostland” and came under the control of Commissioner General Otto Heinrich Drexler. At the end of July, the military administration was replaced with a civil government, whose first order of business was to enact a series of anti-Jewish laws. Directly before the arrival of the Germans, the Soviets deported a huge group of Latvians, including thousands of Jews, to Siberia and Central Asian Soviet republics due to their oppositional political views. When the Nazis arrived in Latvia, a significant number of Jews were also able to escape to Central Asia, but Germany still got a hold of some 75,000 remaining Latvian Jews. The Jews were not only persecuted by the Nazis, but by significant numbers of Latvian activists who belong to anti-Semitic organization such as Aizsargi paramilitary and the Einsatzgruppen, or “action commandos.” These groups systematically aided in the annihilation of the Jews of Latvia. In Riga, the Einsatzgruppe started a pogrom against the Jews, destroying all the city’s synagogues and murdering 400 Jews. By the end of 1941, the Einsatzgruppe had facilitated the mass execution of 35,238 Jews in Riga, Mitau, Liepaja, Valmiera, and Daugavpils. Afterward, only 2,500 Jews were left in the Riga ghetto, and 950 in the Daugavpils ghetto. The genocide in Latvia had three main stages. The first was from July to October, 1941, when the Germans killed around 34,000 Jews. In July, 300 Jews hiding in a basement in the Riga Choral Synagogue were burned alive by Nazi forces. In 1994, a Holocaust memorial was erected near the destroyed synagogue to commemorate their deaths. At the end of 1941 and the beginning of 1942, Latvia received 15,000 Jewish deportees from Germany, Austria, Czechoslovakia, and other annexed countries. These “Reich Jews” were mainly sent to Riga, where they were deported to execution sites in the Rumbuli and Bikernieks forests. Barrack and concentration camps, such as Salaspils and Kaiserwald, where Jews faced forced labor and extermination, were located around Riga. Kaiserwald, created in the summer of 1943, held Jewish survivors of the Riga, Daugavpils, Vilna and Liepaja ghettos. When the Germans were forced to retreat in the summer of 1944, the surviving prisoners were sent to the Stutthof concentration camp near Danzig. The second phase was from November to December 1941, when the Nazis liquidated the Latvian ghettos. In Daugavpils, more than 11,000 Jews were murdered. It was during this second stage that the Rumbula Forest massacre took place. The Nazis, with the help of the Latvian police, took 25,000 Jews from the Riga ghetto to the forests around the city, where they systematically executed them. In 2002, a memorial opened in Rumbula, following the 2001 dedication of an immense monument in the Bikernieki forest to the 30,000 Jews murdered there. The final stage took place from January to July 1942, when nearly all of the deportees in Latvia from other countries were murdered in and around the city of Riga. After the war, 33,000 Jewish refugees and exiles scattered around the Soviet Union returned to Latvia. Only 1,000 Latvian Jews survived the concentration camps, most of whom remained in the displaced persons camps in Germany, Austria, and Italy, refusing repatriation. Eventually, many made aliyah. In Latvia itself, several hundred Jews miraculously survived the Holocaust by hiding or intermarrying. Overall, the Nazis and their collaborators killed 95 percent of the 100,000 Jews in the country before the outbreak of the war. After the war, the Soviet government investigated crimes committed by German and Latvian fascists during the German occupation. Those investigated included the Reich commissioner for Ostland, the commissioner general for Latvia, the chief of police for Ostland, the chief of the Gestapo, and the chief of the Riga concentration camp. On January 26, 1946, a number of suspected Nazi war criminals were tried by the Riga military district war tribunal. Seven Nazis, including Friedrich Jeckeln, the chief of police for Ostland, were convicted and hung in Riga on February 3, 1946. Despite investigations, only a very small percentage of Germans and Latvians involved in the decimation of the Jews of Latvia were brought to justice. Since Latvia regained its independence in 1991, July 4th has been designated as the official Holocaust Memorial Day in Latvia. President Ulmanis and the Saeima have formally apologized for Latvia’s role in the Holocaust, but the Simon Wiesenthal Center has condemned the lack of war crimes prosecutions in Latvia, and in July 2002 launched “Operation: Last Chance,” calling on Baltic citizens to identify suspected Nazi collaborators for monetary rewards. The initiative provoked controversy, as many Latvians continue to regard World War II as a war against the Soviet Union in which the Germans were their liberators. The Latvian government investigated Konrad Kalejs and Karlis Ozols, both of whom were accused of collaboration with the Nazis while serving in the SS-affiliated Arajs Commando, but both suspects died in 2001. Neither was extradited to Latvia, but Latvia has pledged to continue the investigations. The Latvian History Commission researches crimes against humanity committed in Latvia between 1940 and 1956 under the alternating Soviet and Nazi regimes, and developed a curriculum for teachers and materials for high schools. Study of the Holocaust is compulsory in secondary schools. The Commission held a conference on Holocaust research in 2001, in conjunction with the University of Latvia’s Center for Judaic Studies. Several recent cultural projects and exhibitions in Latvia have addressed Holocaust themes. In May 2000, the exhibition “Anne Frank – A History for Today” opened at Riga’s Museum of War. In April 2001, the exhibit opened at the Jewish Community Center, with President Vaira Vike-Freiberga in attendance. The president also spoke at the July 4, 2001 Holocaust Memorial Day, the 60th anniversary of the Holocaust of Latvian Jews. In addition to co-sponsoring the Holocaust studies conference, the Center for Judaic Studies helped mount a traveling exhibit of Latvian Jewish history called “History, Tragedy, Revival,” sponsored by the Latvian Foreign Ministry. In 2001, a Latvian Jewish businessman funded the publication of 5,000 copies of Elie Wiesel’s Night in Latvian for distribution to Latvian schools. Latvia once again came under Soviet control after the Germans were defeated. The country remained part of the Soviet Union until its collapse in the late 1980s. Very little is known about the Jewish community of Latvia under the Soviets. The Jewish population maintained a steady decline throughout the late 1970s and 1980s. In 1979, the community numbered 28,300 but, by 1989, had dropped to 22,900, 18,800 of whom lived in Riga. This decline was mostly due to the high rate of intermarriage, immigration, and aliyah. In 1989, 1,588 Jews left the country. In 1990, 3,388 Latvian Jews made aliyah. The vast majority of Latvia’s Jews live in Riga. Rabbi Natan Berkhan, Chief Rabbi of Riga and Latvia, runs the Central Synagogue, Riga’s only synagogue. Latvia is home to about 20 Jewish organizations, most of which are concentrated in Riga. 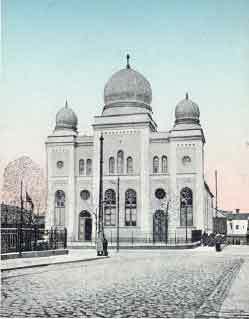 The Riga Jewish community is unified under the Council of Jewish Organizations. The Council of Latvian Jewish Communities and Congregations also represents them nationally. The Jewish community of Riga has its own monthly newspaper, Gersharim (bridges), and a matzah bakery. Latvia also boasts the only Jewish hospital in the former Soviet Union. The Riga Jewish Community Center was established in 2000 with the support of the American Joint Distribution Committee. The JCC provides educational and cultural programs for children, youth, and families, including a cinema, musical clubs, and a sports program. The JCC also runs a meals-on-wheels program for the elderly, funded by the JDC. The Federation of Jewish Communities of the CIS runs a daily soup kitchen in Riga and prepares 300 food packages for the homebound each month. The two Jewish day schools in Riga-the Dubnov School, which is a secular day school, and Chabad’s Jewish Private School-teach close to 500 students combined. 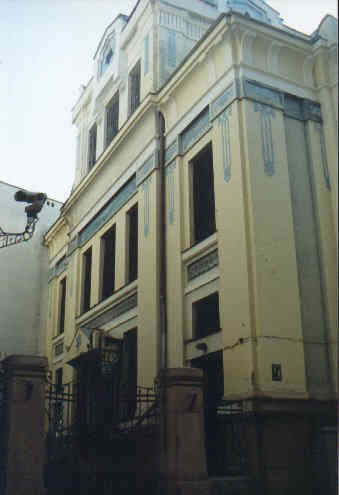 The Dubnov School, foundede in 1989 as the first Jewish school in the Soviet Union, operates in conjunction with the Israeli Ministry of Culture. Several Jewish youth programs operate in Latvia. In addition to Chabad’s Jewihs Private School, the FJC also operates summer camps. The Union of Jewish Youth of Latvia was founded in 1994 to promote Jewish education, address anti-Semitism, and develop community youth leadership. Latvia’s Shalom Club, sponsored by the Israeli Foreign Ministry’s Center for International Cooperation (MASHAV) and the Israeli Embassy, conducts community education programs and charity projects. 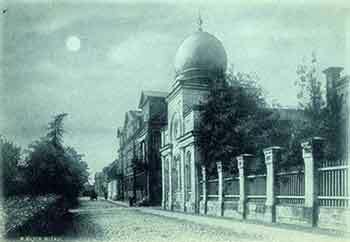 A Center for Judaic Studies was established in 1998 at the University of Latvia. The Latvian government has a positive relationship with the Jewish community and provides it financial and material support. The government has provided the buildings for the Jewish day school and JCC as well as teacher salaries. The book Distinguished Jews of Latvia was released in September 2003, and was distributed to Latvia’s major libraries and schools throughout Riga. Latvia and Israel established diplomatic relations on January 6, 1992, after Latvia became an independent republic. In October of that same year, Israel opened an embassy in Riga. On February 5, 1995, the Latvian embassy in Tel Aviv opened. The two countries have become trade partners and work together to promote Holocaust awareness, research, and remembrance.